• It’s so simple! 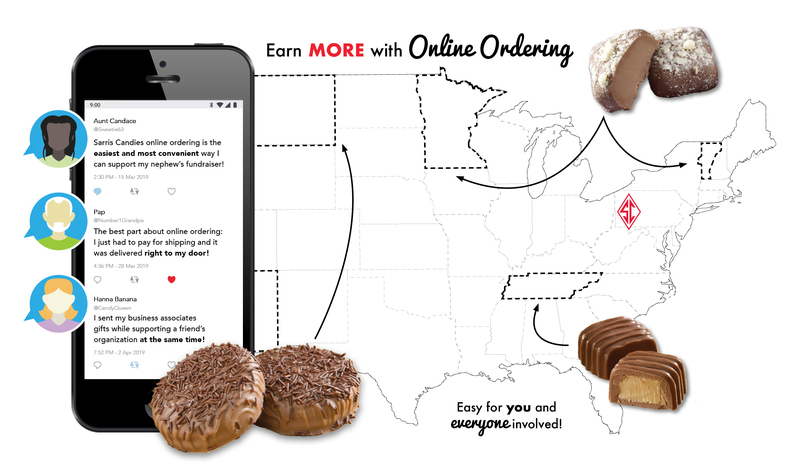 Your supporters can visit this website, enter your Group ID#, choose from hundreds of Sarris products and place their order. • Orders will be shipped directly to the customer. Standard shipping charges will apply. Online fundraising sales cannot be combined with any other promotional offers or discounts. • Earn 25% profit with every online order! • Your profit check will be mailed at the end of the season. Your group must participate in the Holiday Fundraising Program. Online sales will not be combined with brochure sales for profit percentage. • Need help spreading the word? Promote your online sale with our easy-to-use, customizable template. Chairperson: For more information and to find out your organization's Group ID#, please call 1-800-255-7771. Family and friends: Are you here to place an order? If you have the Group ID# and you're ready to start shopping, click here.